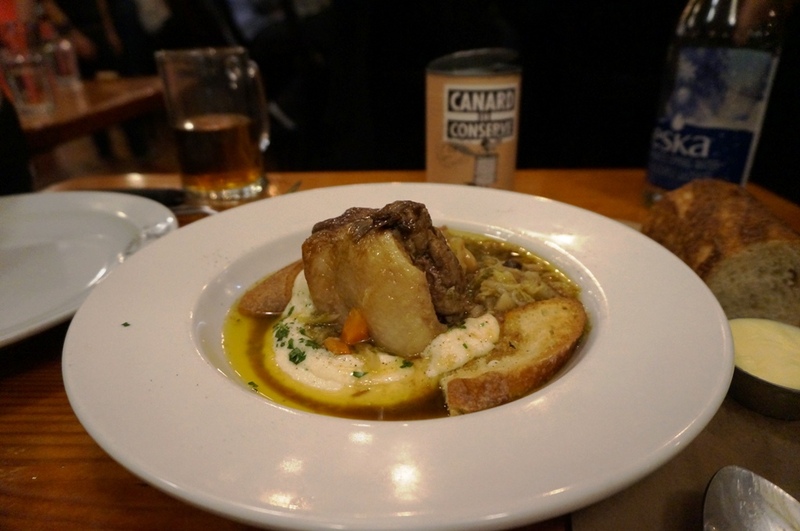 Au Pied De Cochon is legendary in Canada. 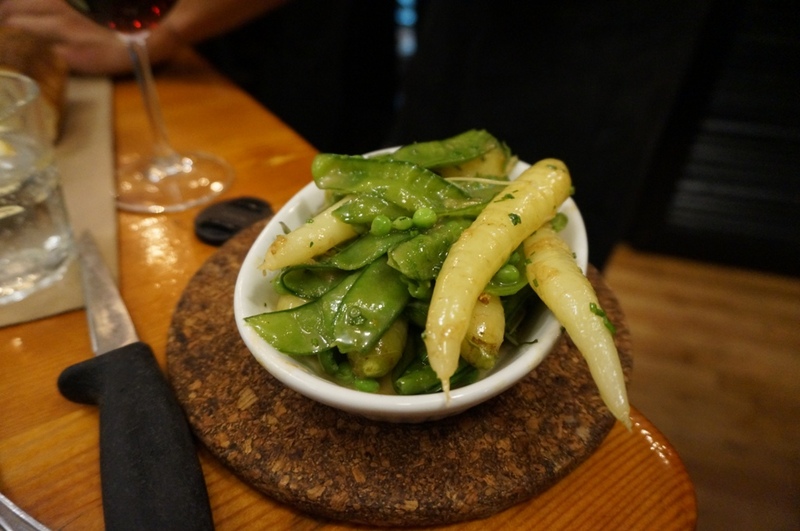 They have a cult following for their foie gras poutine as well as a fair few other signature dishes. Safe to say I was going no matter what time I got the booking for; that’s how I ended up there at 10pm on a Wednesday after icehouse ordering a foie gras poutine, duck in a can and their risotto special which was pea and parmigiano reggiano to which we added bacon. To cast the illusion we were being slightly healthy we ordered the sautéed seasonal vegetables. First out was their fresh baked bread. We had already eat at a couple of places that night beforehand and I shouldn’t have had the bread but it was just so good I couldn’t stop myself. 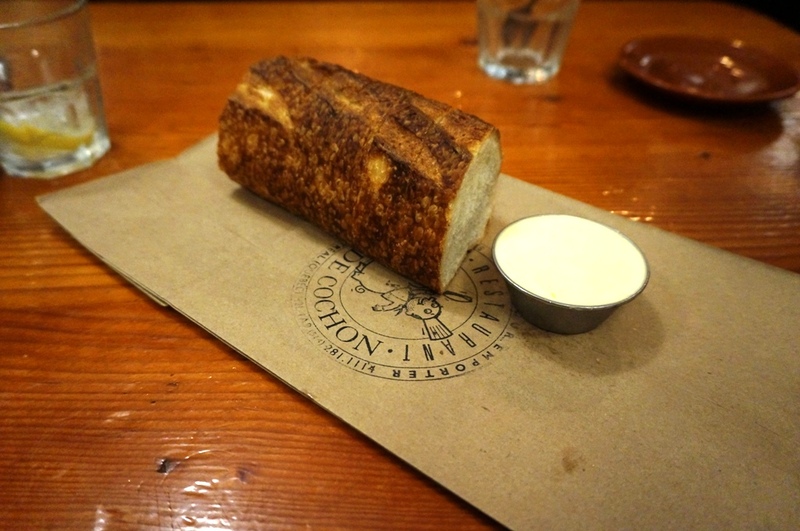 Warm, crisp and so fresh served with an equally good butter was just too hard to resist. 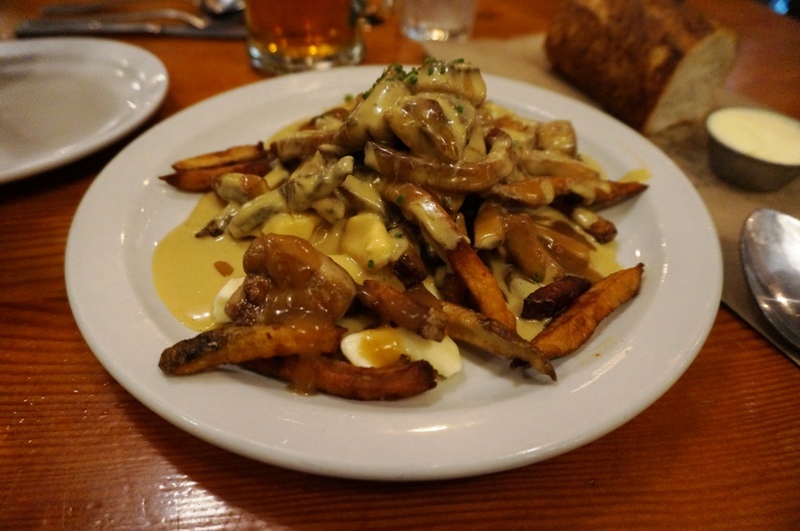 Our first dish was the poutine, it was everything I had dreamed of, rich and delectable, the only downside was I wanted more foie. Next out was the duck in the can, quite literally In a can poured out onto a plate with a bed of bread and mash potato. It, like the poutine was rich and equally as divine, my only complaint was the skin on the duck breast, it should have been removed but at the same contributed to the flavor, best not to eat it when you do order it. 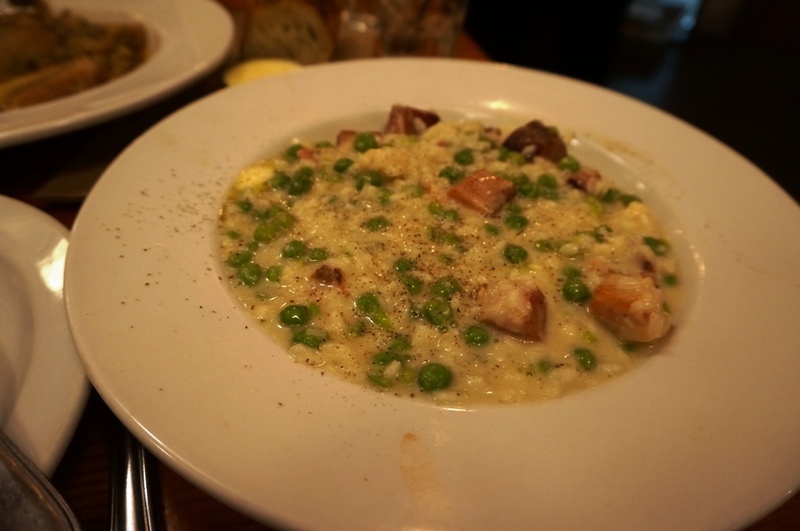 Lastly the risotto, this was epic, and I know you’re thinking how can a risotto be epic? THIS IS HOW. 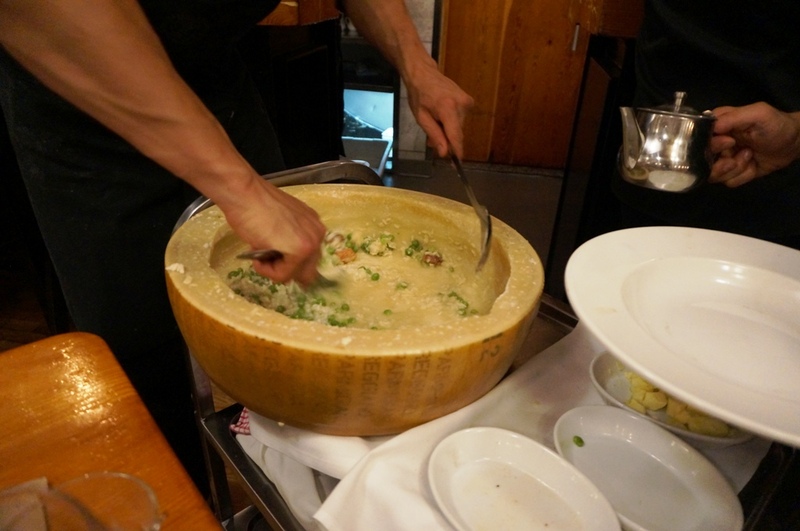 That’s right; they bring out a cheese wheel and finish the risotto in it! it was a crazy display and it made the risotto taste even better if you can believe it. Unfortunately it was too much for me and 3 bites in I gave up, although I thoroughly enjoyed all three bites. Before I forget the vegetables were great too, I think I had one. APDC is a revelation and the whole menu looks amazing. It requires multiple visit with lengthy periods in between to avoid dieing of a heart attack. Posted on September 5, 2015 October 13, 2015 by AdrielPosted in Canada, Montreal, SteakLESSTagged APDC, Duck, foie gras, French, montreal.